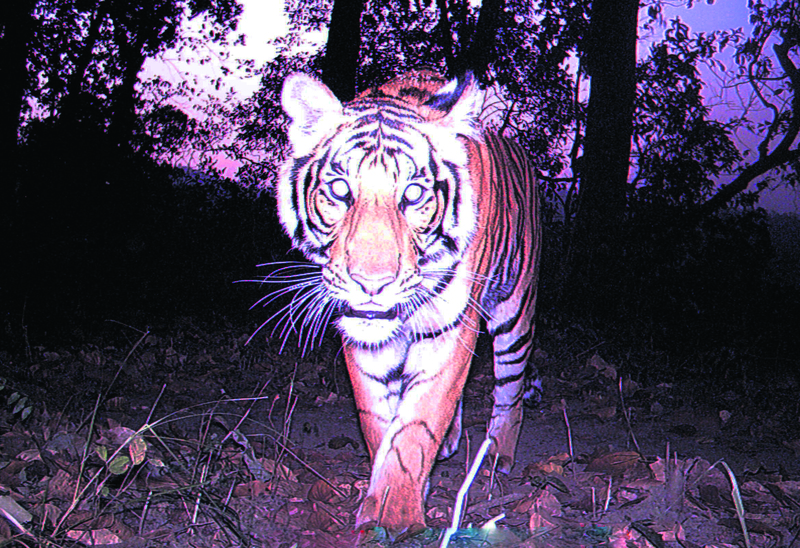 In the Tarai Arc Landscape of Nepal, wildlife biologists, researchers and field staff from the Government of Nepal, World Wildlife Fund (WWF) and National Trust for Nature Conservation (NTNC) are using cameras equipped with infrared triggers, called camera traps, to obtain critical data about wildlife and their habitats. Camera traps, hidden in some of the most remote and inaccessible locations inside the jungle, are activated by infrared sensor when body heat or movement of an animal is detected. Even though the word ‘camera trap’ may sound alarming, the name is derived from the manner in which it captures wildlife – on film, without causing any harm to the wildlife itself. 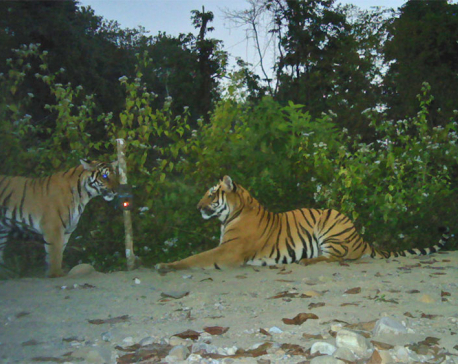 Through these day and night camera images collected from the past tiger surveys in the Tarai Arc Landscape, we provide you a glimpse into the previously unseen world of some of the most endangered species on earth. Today, July 29, is International Tiger Day. This day is marked to give worldwide attention to the conservation of tigers. A wildlife corridor provides the habitat linkage between two or more larger patches of wildlife habitat, critical for the movement of wildlife ensuring viable wildlife population and sustaining ecological processes. These camera trap images are of the same tiger spotted in Bardia National Park and Katarniaghat Wildlife Sanctuary, showing its movement between the two protected areas through the Khata corridor. Camera traps are a great tool to estimate the number of tigers in the wild. Wildlife biologists and researchers place the camera traps on animal trails to document their presence, abundance and population changes. The camera traps have been extremely useful in providing evidence for the existence of elusive mammals like the clouded leopard, honey badger, leopard cat and others, which otherwise would never be known. In 2014, the ruddy mongoose, previously found only in India and Sri Lanka, was discovered for the first time in Banke National Park of Nepal, through camera trap photos. 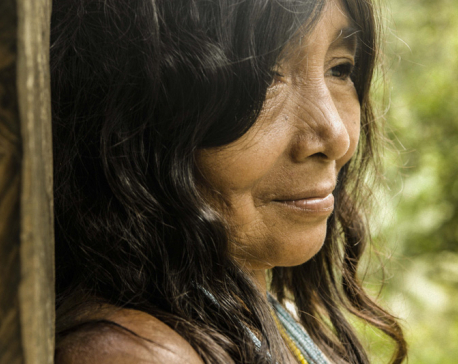 Camera traps, also known as the remote eyes in the forest, are being used all over the world, not only to study wildlife but also to increase anti-poaching efforts. Evidence of human trespassers can better inform park managers of possible illegal activity in the protected areas, and the Nepal army and park staff can be notified to take action.